Several plants have been used for medicinal purposes since long. Piper betel and Triticum aestivum are traditionally used as herbal medicines. 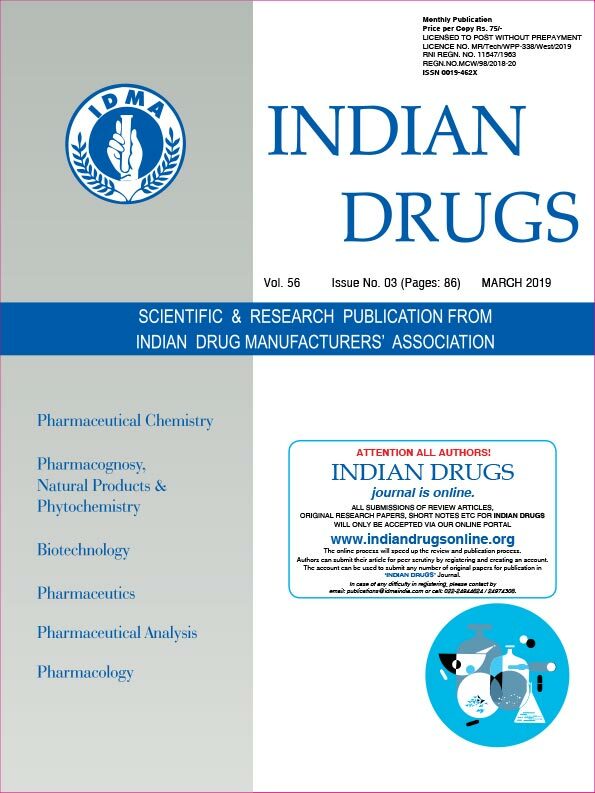 The objective of this study was to estimate the antianaemic potential of butanolic extract of Piper betel leaves and Triticum aestivum grass in a rat model. Butanolic extract of Piper betel leaves and Triticum aestivum grass were prepared by soxhalation. Anaemia was induced by intraperitoneal administration of phenylhydrazine in female rats at doses of 20mg/kg body weight/day for 6 consecutive days. Anaemic rats were treated orally with butanolic extract of Piper betel leaves, Triticum aestivum grass and combination of these two extracts at the doses of 20mg/kg body weight/day for 20 days. On the 21st day haematological parameters such as RBCs, haemoglobin, HCT showed increased significantly (p<0.05) in the Group III, IV and V. The present study revealed that combination therapy showed high anti-anaemic potential followed by Piper betel leaves and Triticum aestivum grass, respectively. Copyright © 2013 by Indian Drugs Online. All Rights Reserved.